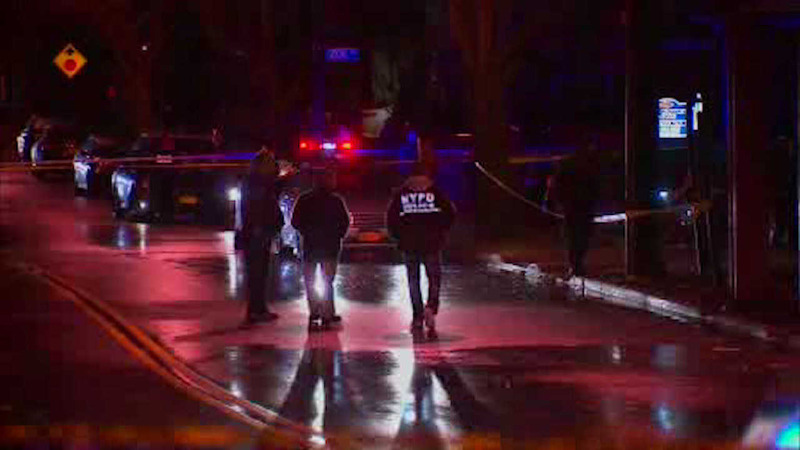 DONGAN HILLS, Staten Island (WABC) -- A 32-year-old man has been charged in a double murder in the back of a Staten Island business in late January. Ricky Dennis was indicted on murder charges Wednesday and is being held without bail. Authorities say Dennis was spotted fleeing the scene of the fatal shooting inside Universal Merchant Funding in Dongan Hills. His fingerprints were also found at the scene, and his car is on surveillance video, according to investigators. Business owner Michael Genovese, 57, and 52-year-old Carl Clark were killed in the shooting. The motive appears to be money owed from a previous business dispute. An armed man wearing a mask went inside the business once it was closed and shot the men in their heads just before 6:30 p.m., police said. Even though the office offered cash advances, Eyewitness News is told there was barely any cash kept there and that nothing was taken during the crime. Dennis is reportedly on federal probation for a violent 2005 robbery of a gun store in Tannersville, Pennsylvania. He was picked up in Brooklyn the day after the double murder on an unrelated federal warrant. "The defendant in this case is charged with savagely gunning down two people in cold blood," District Attorney Michael McMahon said. "My prosecutors and I will work tirelessly to ensure justice for both the victims of this heinous crime and their loved ones and keep Staten Islanders safe."